So begins Seven Toes, a book written and illustrated by three 15-year-old girls that illuminates the magic and majesty of these wonderful and endangered creatures. 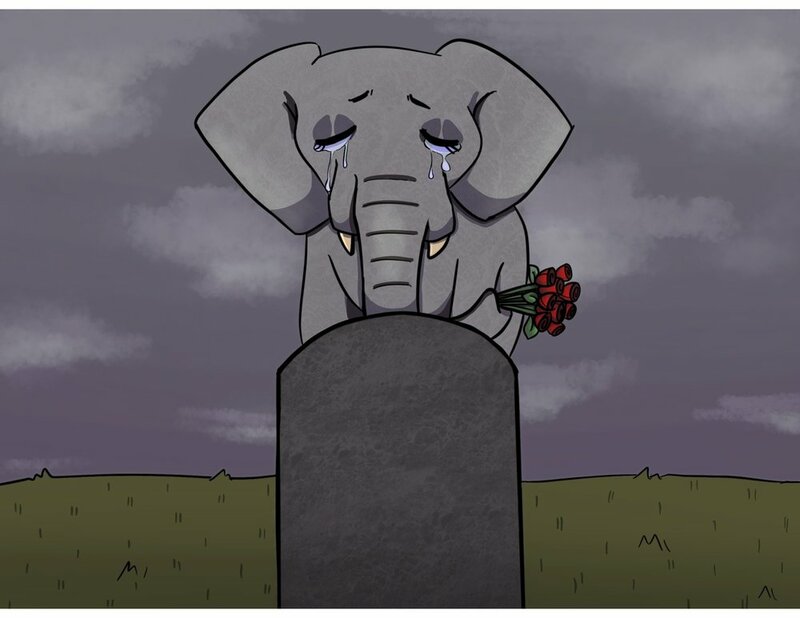 When 15-year-old Erin discovered elephants were set to become extinct by the time she graduated from high school, she wrote a book to reveal the magic of these giants we usually see only through T.V. screens. 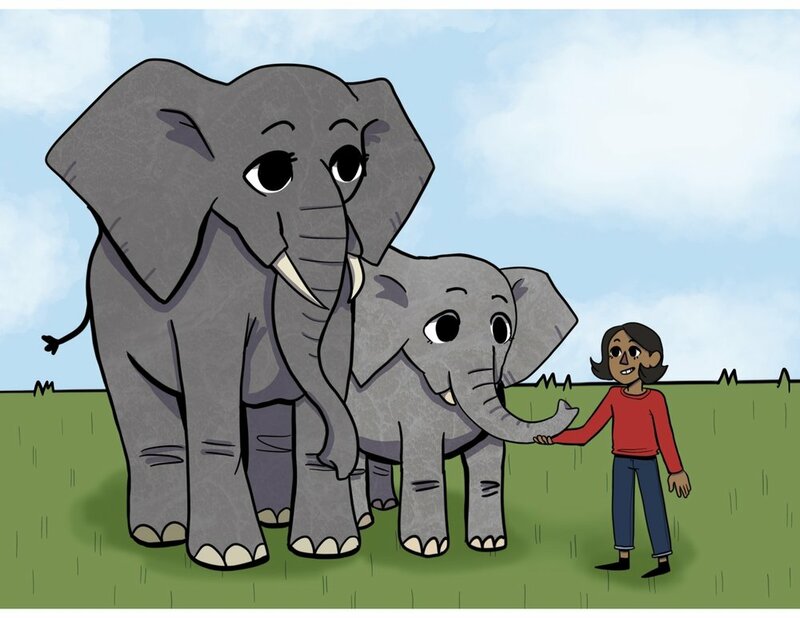 With the help of her artist friends Bella and Andrea, the three girls bring the magic of elephants to life. 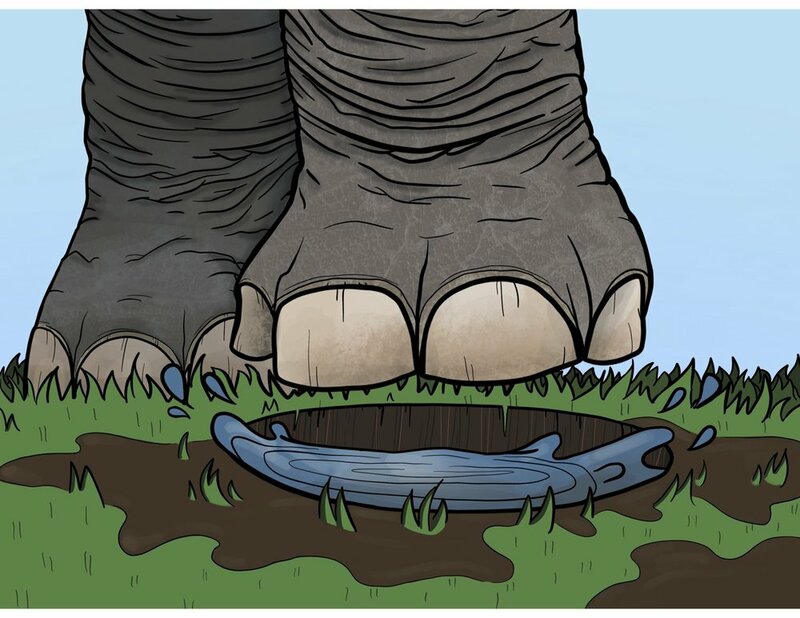 All profits from this book will go to charities that rescue elephants from peril. 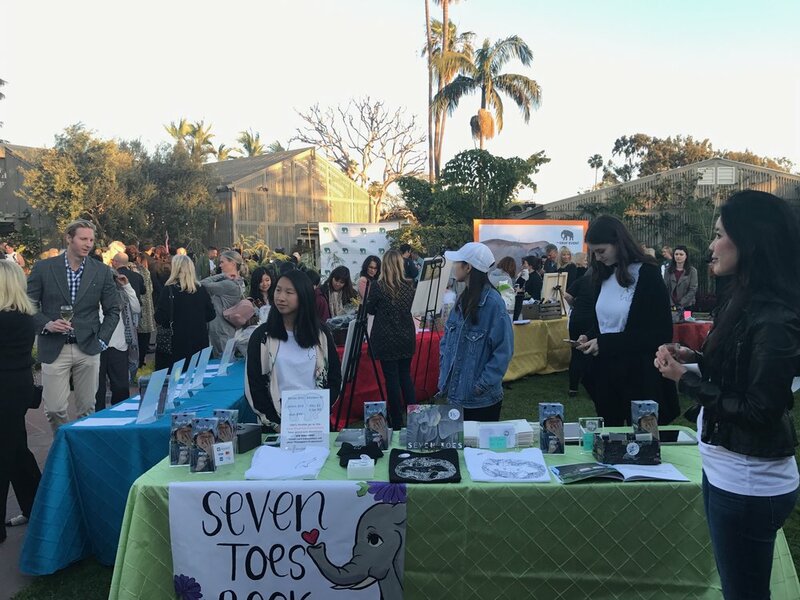 On February 25, 2018, Erin, Andrea, and Bella sold their charitable Seven Toes book as well as elephant pins, hats, stickers, and shirts they crafted at The Gray Event to benefit the Save Elephant Foundation, which was founded by the legendary Sangdeaun Lek Chailert, a young woman who grew up with a baby elephant her shaman grandfather was given as payment for healing a neighbor. Lek has been featured in National Geographic, Discovery, Animal Planet, and BBC documentaries and was honored by Hillary Clinton in 2010 as one of six Women Heroes of Global Conservation. 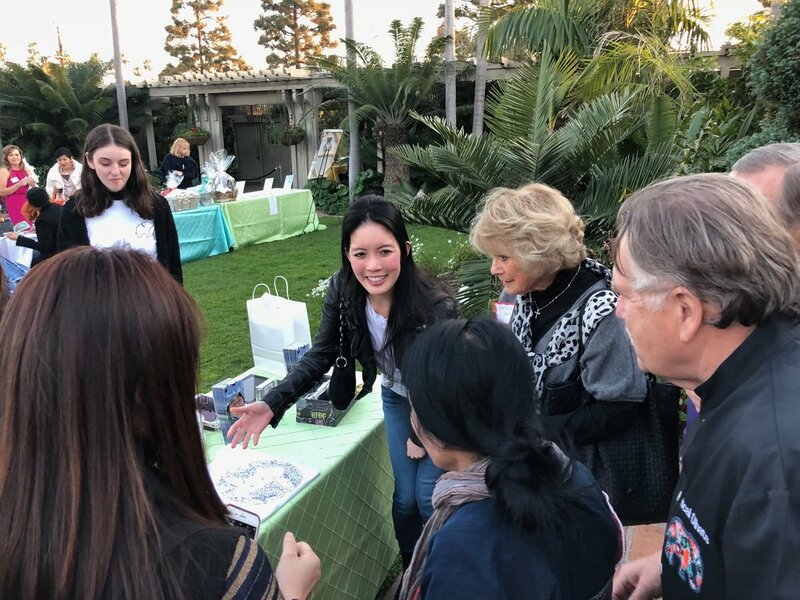 She was also named one of TIME magazine’s Heroes of Asia and the Ford Foundation’s “Hero of the Planet.” Erin, Bella, and Andrea are honored to contribute to her cause. Our sales team: Erin, Bella, and Andrea! Erin, Bella, Clarissa, and Andrea pose infront of the event backdrop. Clarissa showing off our amazing work! Erin, Andrea, and Bella getting more sales. Andrea focusing on the task at hand. It got a little hectic, but nothing we couldn't control! 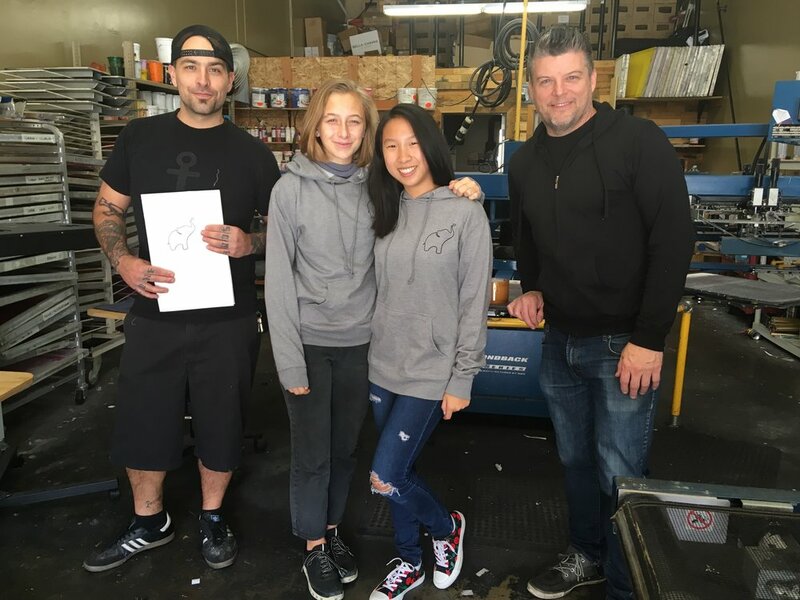 It was an honor to meet Lek and gift her one of our books! We got a little distracted by the talented Thai dancers! Presenting our check to Deirdre! Our banner we painted for the event! On August 12-13, 2018, Erin and Bella educated kids at the L.A. Zoo for the World Elephant Day weekend. Giving away our signature stickers to any passer-byres, we attracted a lot of attention with our busy table of books, shirts, hats, and pins for sale. We advocated the need to raise awareness for elephants and their importance in our ecosystems. Each drawing took Bella 2-3 hours! 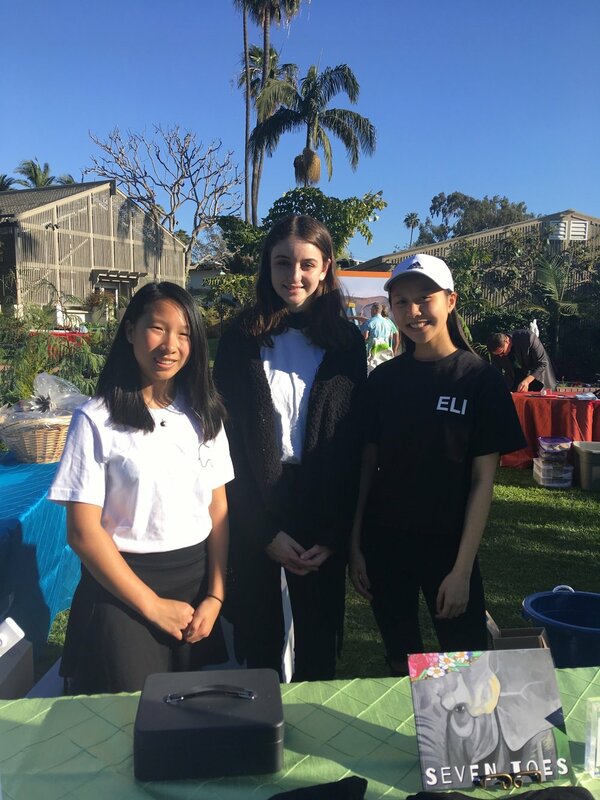 If you live within 30 minutes of Chino Hills, CA, Erin and Bella will come to your school to teach kids how they, too, can save elephants! Would you like to help save elephants so they don’t go extinct in the wild by 2020? Erin, Bella, and Andrea have crafted an elephant children's book, pins, shirts, and hats for you. Erin setting the template for the shirt. Jason showing us how the screen is made with ultraviolet light. Spraying the template with the hose reveals the design. 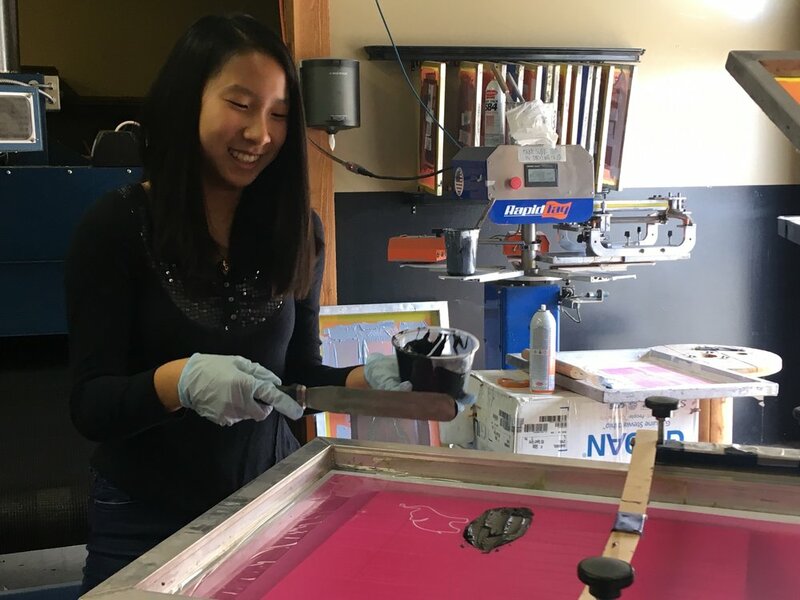 Erin learning how to manually screen print. Swiping ink is a lot harder than it seems. Erin shocked at how great the first trial run turned out. Erin's best friend, Sasha, trying it out for herself. Sending the shirt off dry. Thanks so much to Reed and Jason at Ink&Think for letting us make our shirts! The Pass It On logo and slogan was created by Erin Chang. 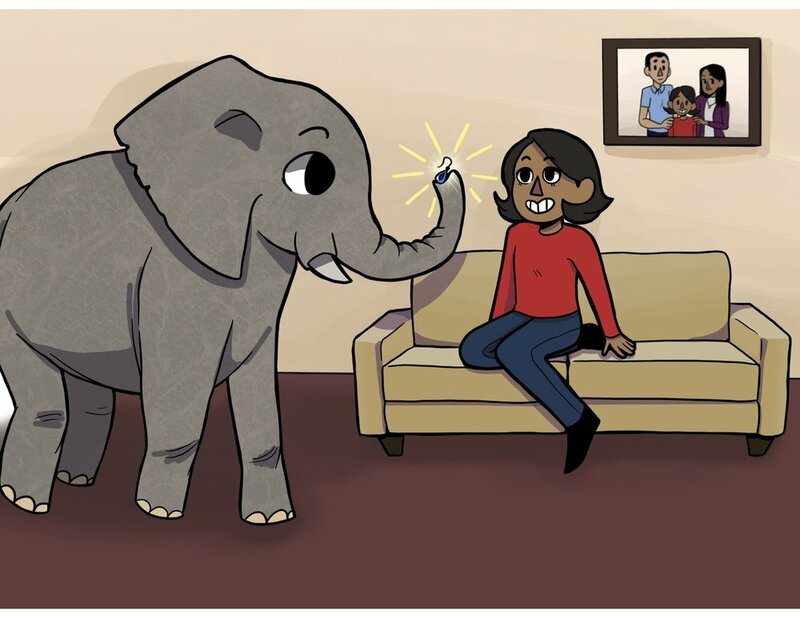 For $55/year, you can adopt an elephant! Every dollar counts. Please note: Amounts shown on the Save Elephant Foundation website are in Thai baht.